Last week I broke two of my nails :'( and decided I would file my nails drown super short. It's the first time in a while that my nails have been this short, and I realized that even the regular size plates by Moyou London are now super big for my nails. Their not too large and still work great, but I realized that I definitely have a favorite plate in my collection for when my nails are this short. That plate is Scandi 08. I love this plate for any length of nails, it's a great choice whether your nails are super short, super long or anywhere in between, but I've definitely been using a lot more since shortening my nail length. Unlike the majority of Moyou stamping plates, which are usually 12-18 full nail designs or 1 large design, this plate has 43 small designs. 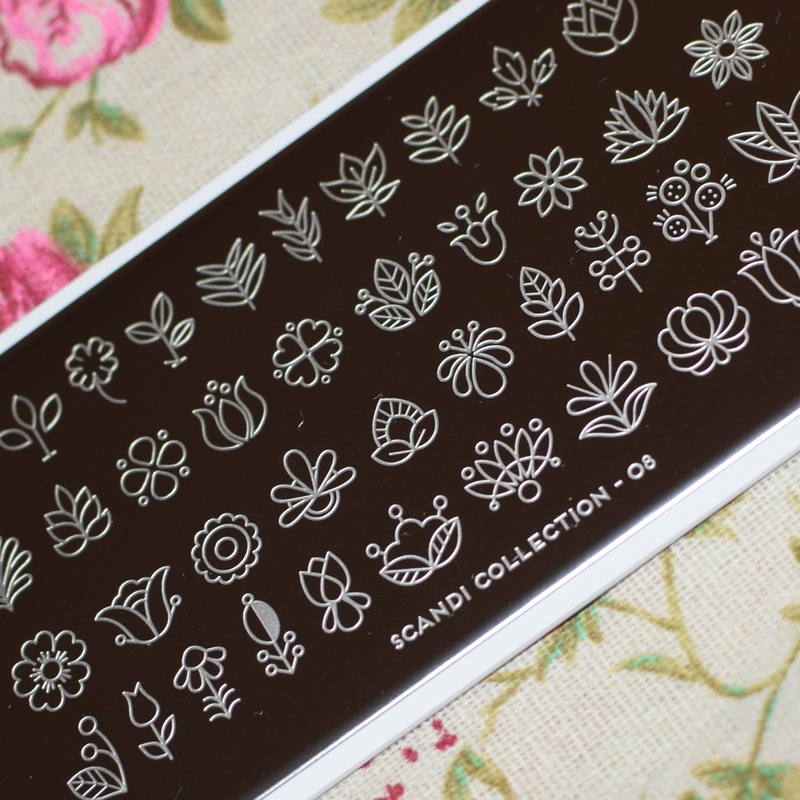 All plant/leaf/flower designs white are in the same minimalist outline style as the rest of the plates in the Scandi collection (which is my favorite collection by Moyou). The plate has so many designs to choose from. The designs are small, so even on short nails none of the design is lost or left out of the nail. They make beautiful and simple accent nails (I love a good accent nail). 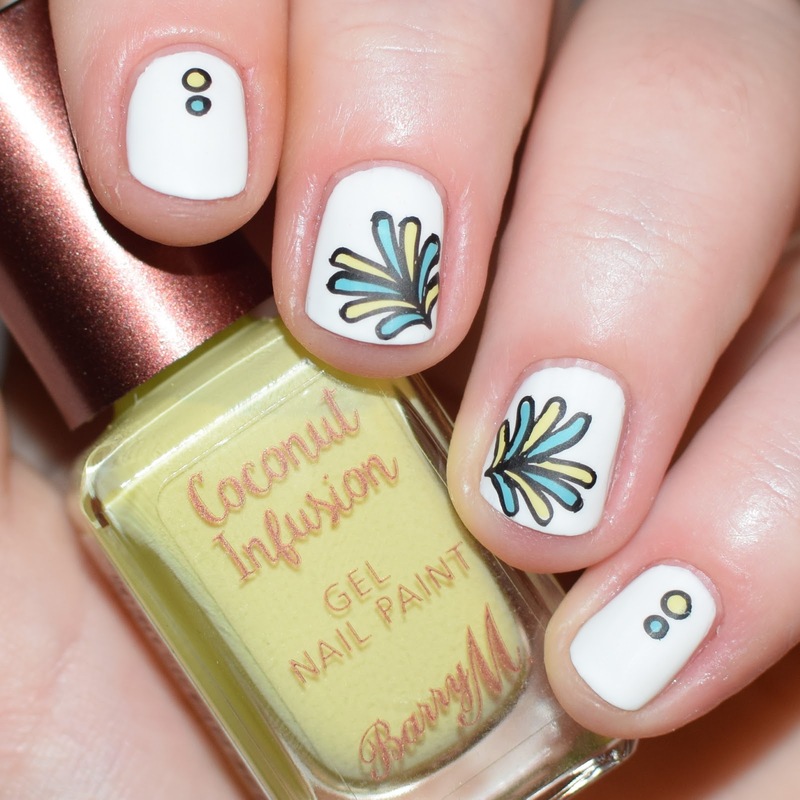 The designs work great together for mix-and-match manis. 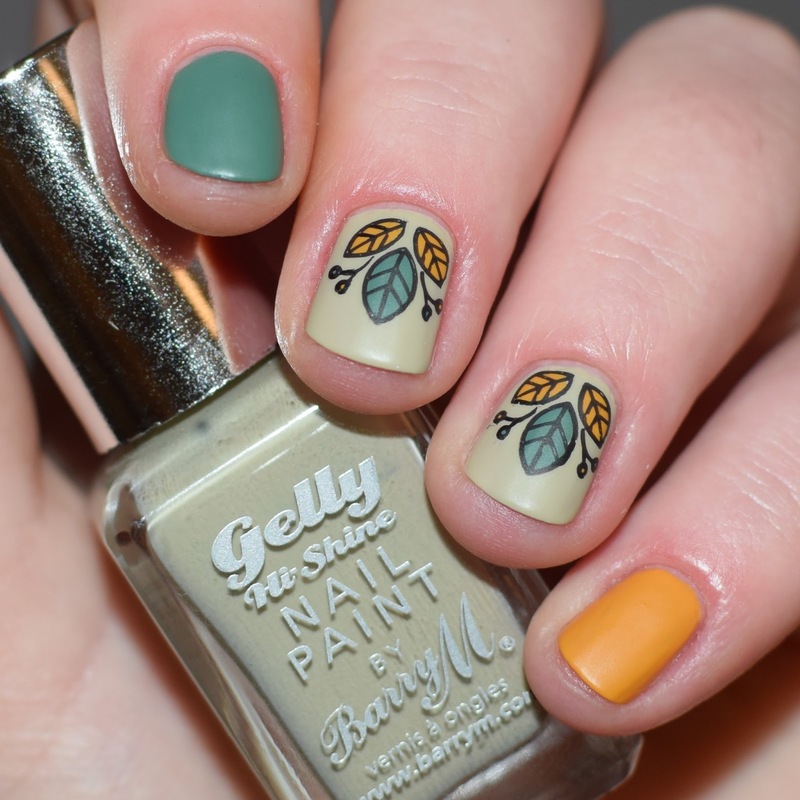 The designs on the plate work for all kinds of seasonal themed nails. 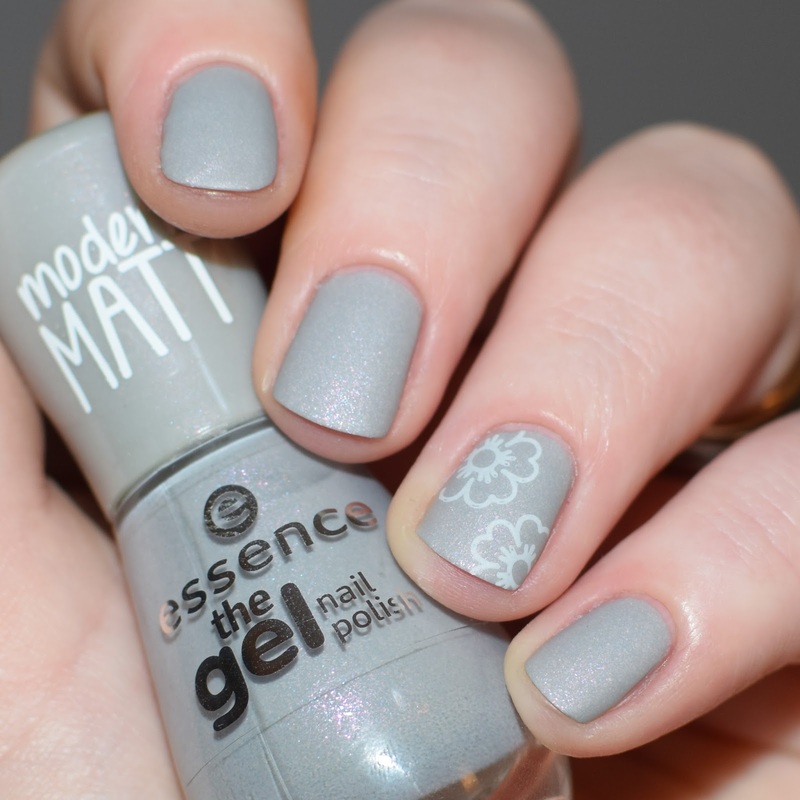 On longer nails you can place several of a design repeated. The designs have a lot of empty space within the outline, so you have do lots of fun reverse stamping to colour in the designs. If you have super short nails, some of the design may even work as a full nail design. You find this plate here.